Wentworth house is spacious with lots of character, particularly the hall and staircase, and has some historical significance. All of our individually designed bedrooms are ensuite, have television, tea/coffee, complimentary toiletries and internet access. Our large secure car park in surrounded by landscaped gardens, ideal for a picnic lunch. Visit Withernsea East Riding of Yorkshire and the surrounding villages and stay in b and b, hotel or self catering cottage accommodation provided by BedPosts members. The coastal town of Withernsea in the East Riding of Yorkshire has 6000 inhabitants. Attractions: inland lighthouse, a museum to locally-born actress Kay Kendall (1927 – 1959); beach, promenade & pier; church of St Nicholas. 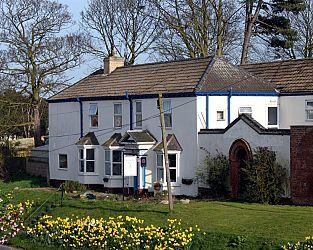 If you seek accommodation near Withernsea in East Riding of Yorkshire you have come to the website of a “club” of providers who offer affordable quality accommodation around UK in hotels, bed and breakfasts, guesthouses, inns, and restaurants plus self-catering cottages and apartments .